Broadly speaking, there are two categories of Italian food. There are the pseudo-fresh meals overpriced restaurants hawk to tourists in the city center, which offer a greatest hits list of the country's cuisine and conveniently ignore regional differences. Then there are the places your average Italian eats that are a bit further out and have plastic menus studded with asterixes, indicating the last time they served fresh food was pre-1950. Personally, I'm always ready to emabrace the latter. Not that I did all that well on my most recent trip to Italy last July. We stayed mostly in Puglia, with a few daysin Basilicata (Matera) and Campania (Naples). Here is, more or less, everything I ate on the trip. Not all of it was great, and that's the point. I'm most eager to eat Italian food when there's something a bit strange about it, a taste or a flavor that's all too similar to the packaged foods you find back home. Italian food is in constant evolution, here's what I found in Puglia in summer 2017. 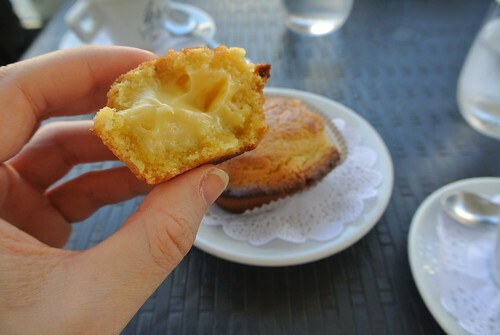 Most Italian breakfast pastries taste like condensed sugar. 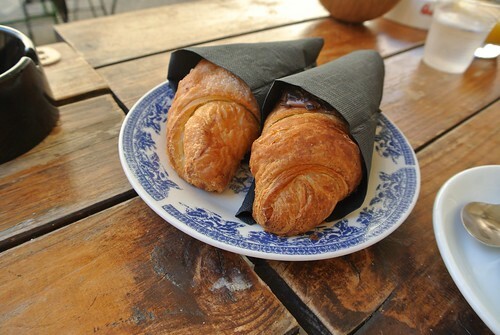 Not so at Lecce's 00, which serves fresh-baked pastries filled with everything from rich chocolate spreads to an eggy pastry cream. 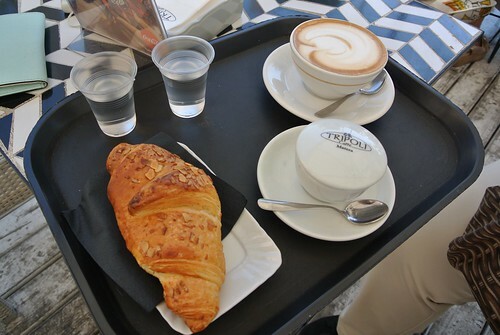 Overlook the name—Matera's Caffè Tripoli is located at the end of the Corso and is an elegant place to take your morning meal, just be sure to get there early before the pastries run out. 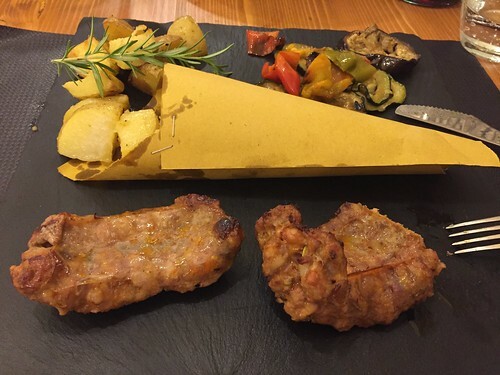 The food at Antico Forno Santa Chiara is reason enough to head to Altamura in Basilicata. 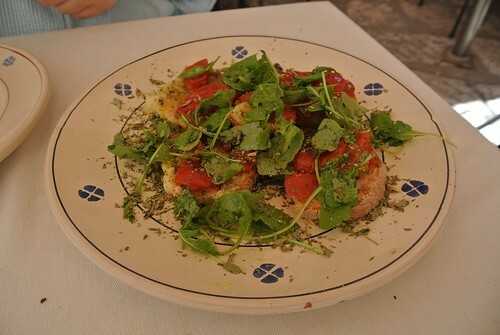 If you're lucky, they'll serve you a juicy panzanella salad, slick with grassy olive oil. Altamura's bread is rightfully famous, and the juicy, chewy focaccia from Antico Forno Santa Chiara is one of the best you'll find in the country, at least according to this focaccia obsessive. 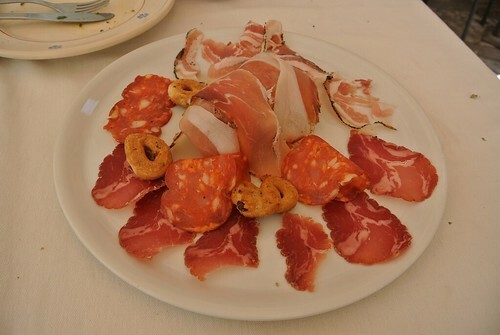 To complete our epic Altamura lunch, we had a plate of salumi, which included prosciutto, salame piccante and capocollo. Fave e cicorie (puréed fava beans with sautéed bitter greens) is a traditional make-do meal in Puglia, and can be found on menus across the country. This salty version was one of the best meals I ate during the trip. 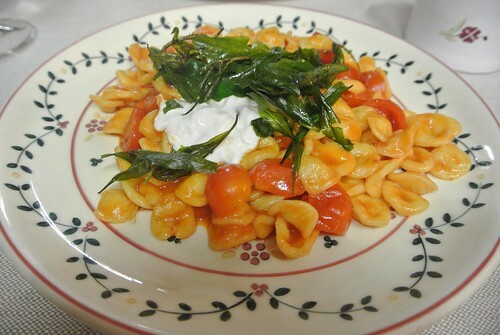 Orecchiette are Puglia's much-loved, nubby hand made pasta. 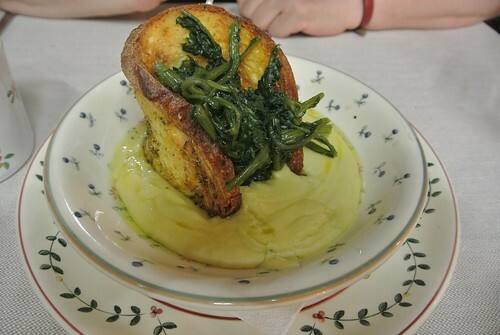 Although cookbooks say they're typically served with cime di rapa, broccoli rabe, you'll find them paired with a variety of different sauces as you travel through the region. Anything to please the tomato-seeking tourist. 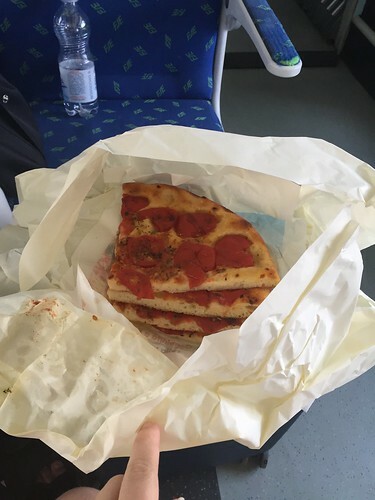 Why have one pizza when you can have two? 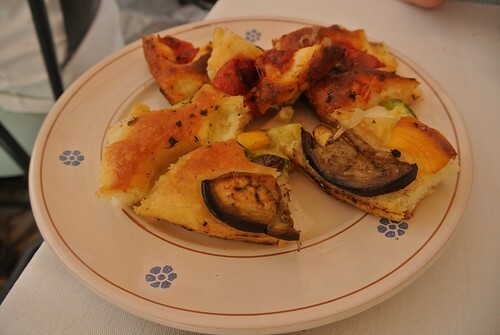 We had our first cooked-to-order pizza during a day trip to Polignano a Mare, about half an hours journey from Bari. 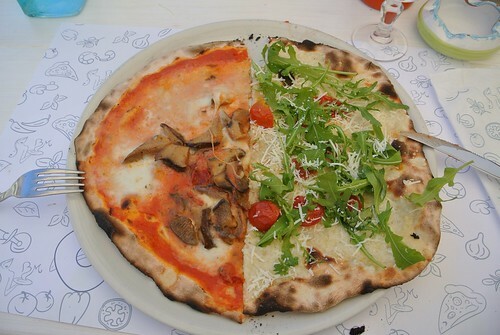 And since a whole pizza can get kinda dull, we ordered two and split them. 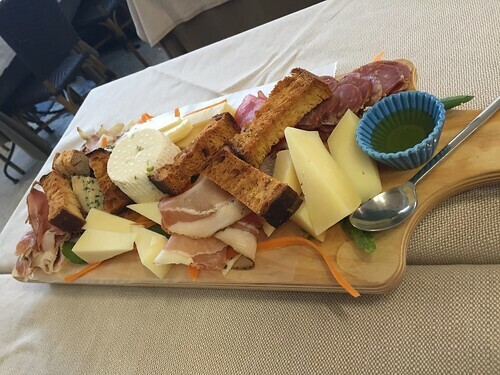 I don't know why I looked at menus for the first few days and thought that meat and cheese to start would be a good option—we sampled this epic meat and cheese plate in Bari, the best of which was a salty-creamy caciocavallo. 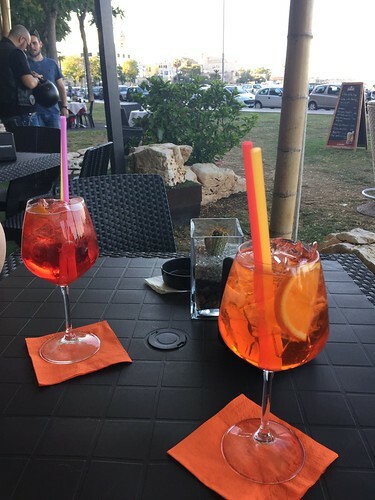 Our first aperitivo in Bari was by the lungomare, where we watched locals admire their friend's new dog and saw a bunch of bikers fly past. The drinks were probably from a bottle, as expected. 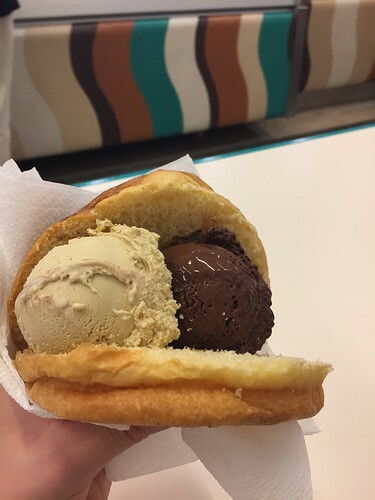 Forget your stale chipwich, Italy's brioche con gelato is the indulgent ice cream you need to sink your teeth into. Pro tip: choose flavors you'd want to find sandwiched between cookies, like pistachio and chocolate. There comes a point in every trip to Italy when I get so bored of pasta and beg my travel companion to remind me that I'd be happy just ordering a secondo. 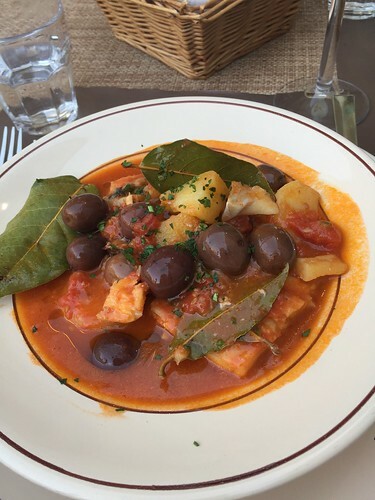 This brothy olive-studded tomato salt cod stew was the perfect antidote to pasta overload. 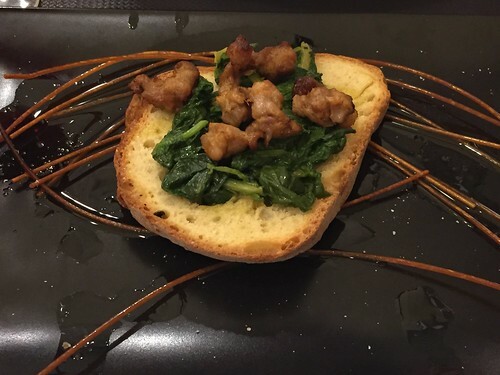 Forget your dinner party-appropriate crostini, crostone are the Italian crunchy bread you need in your diet, preferrably topped with garlicky sautéed greens and fennel-spiked sausage like this one we ate in Matera. Pork sausage with roasted potatoes and vegetables, also known as another reason to always order a secondo. I am a fan of eating on trains in Italy, just so long as I don't have to face the embarrassment of not knowing how to peel an orange with the knife I definitely don't have on me. We picked up this juicy tomato-studded focaccia barese in Alberobello, which was much needed fuel for our never-ending trip to Lecce. 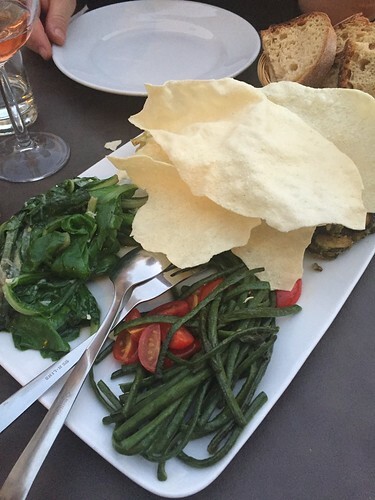 At Il Corte dei Pandolfi in Lecce, start your meal with some well-cooked vegetables paired with feather-weight pane carasau, a common Sardinian flat bread that's the Italian equivalent to a potato chip or papadum. Enter your email to receive new posts delivered straight to your inbox.